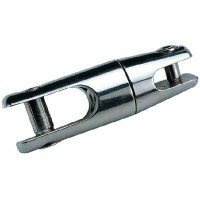 316 stainless steel, high precision, quality swivel which prevents chain from getting twisted. Facil..
Used between anchor and lead chain or between chain and anchor line. Prevents chain and anchor rope ..